Matching Pair - these gems would make a wonderful earring set, or for two individual jewelry pieces. They are a very close match, not a "perfect" match, because they are hand cut. 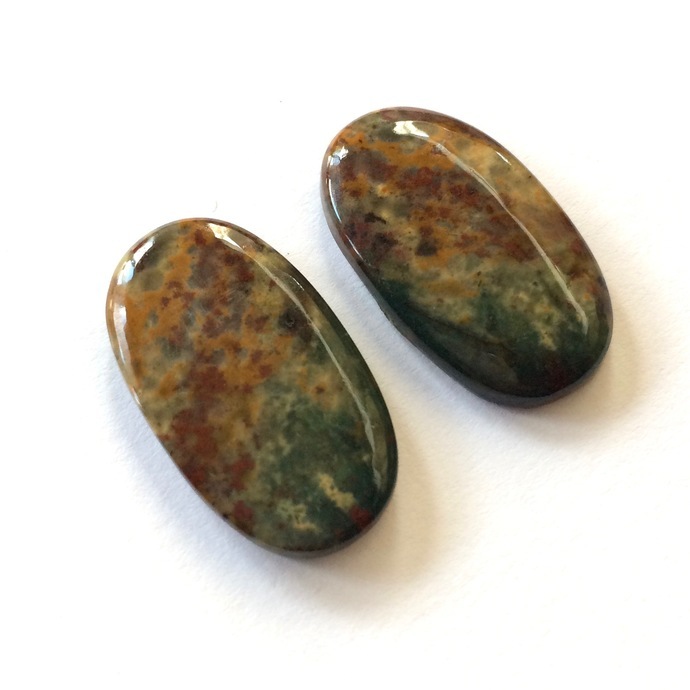 Bloodstone, also known as Heliotrope, may be classified as a Jasper or Chalcedony variety of Quartz, and is usually a combination of the two. 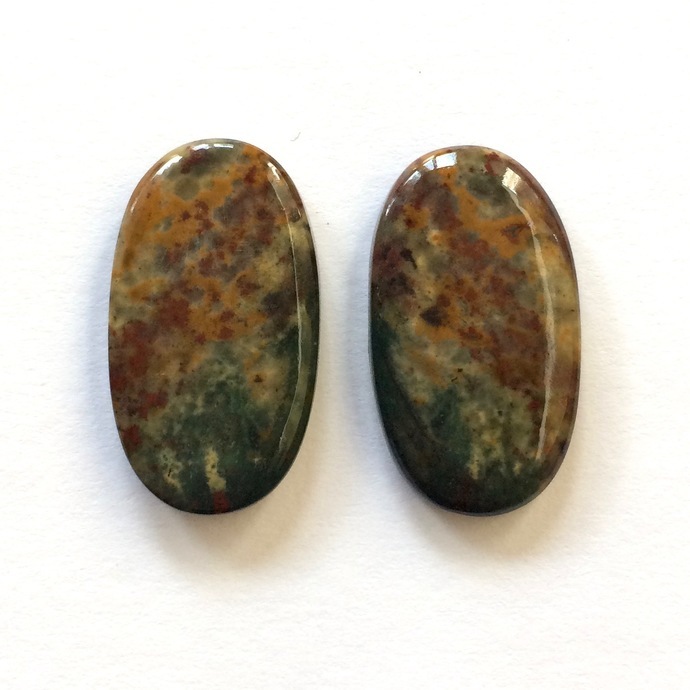 It is typically defined as a dark green Chalcedony with blood-like spots of Red Jasper or iron oxide inclusions.